Pissi Myles preaches versatility and social marketing. 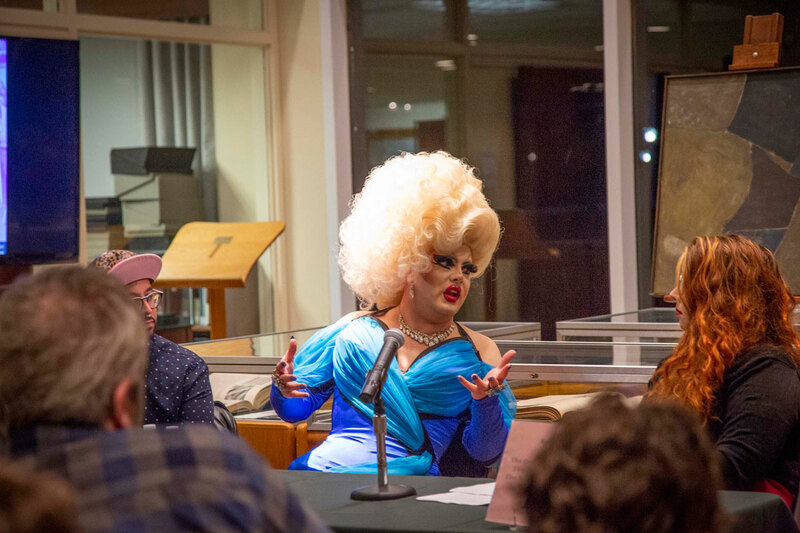 The event, moderated by Special Collections Associate Candace Reilly, examined the performance of drag and visual depictions of its performers as they gain mainstream popularity through TV shows such RuPaul’s Drag Race. Also on hand was David Ayllon, a graphic artist and photographer known for his pictures of drag performers, including Myles. Ayllon, who’s married to Myles, began photographing performers when Myles needed marketing help early on. Their collaboration on photos and music videos has made them a power couple in the drag community. 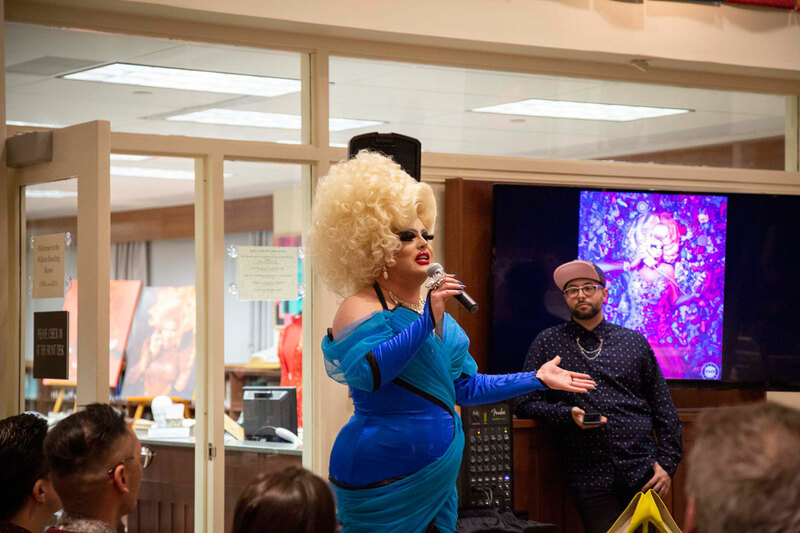 At the event, held at Drew’s United Methodist Archives and History Center, Ayllon displayed nine large-scale pieces that included photos of past winners of Rupaul’s Drag Race, such as Bob the Drag Queen and Sasha Velour. Beyond looking fabulous, drag performers need to sing, dance or do comedy and market themselves on social media, according to Myles. That’s especially true in New York City, where audiences have their pick of performances. The event, which attracted more than 120 people, was presented by the Special Collections Department with support from the Graduate Student Association, Sexuality and Gender Alliance, Women’s Concerns, the History Club, Art Club and Art History Club.